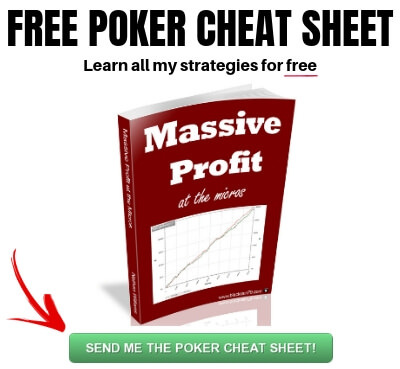 Building your poker bankroll quickly is the goal of pretty much everybody who plays this game. But many people labor away at the very lowest stakes for years. Well there are many different reasons including skill level, taking shots, table selection, confidence and planning that go into the mix here. 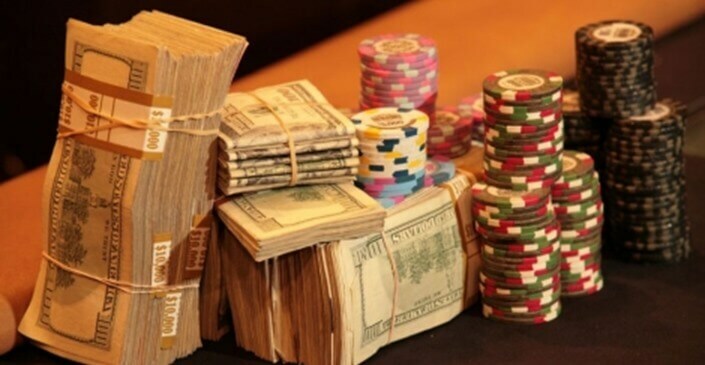 It is still possible to quickly build your poker bankroll and rapidly climb the stakes though in today's games and I am going to explain exactly how to do that in this article. Being better than most of your opponents (regardless of the stake that you are playing at) is always going to be a prerequisite for building up your bankroll quickly. And there really is only one way to do this effectively, play the game a lot and study the game a lot as well. Having worked with nearly 100 students in the past at the lower limits I got to see first hand that it was often fundamental issues that was holding people back. 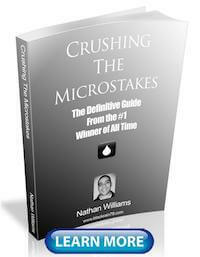 You don't need to be the world's greatest poker player in order to beat the micros. Not even close. 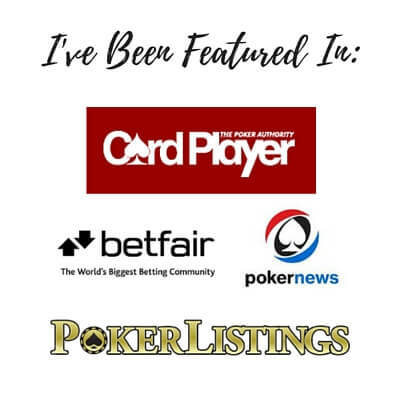 This is all the kind of stuff that is well covered in many poker books and training videos that are aimed at the lower stakes. Poker forums, Youtube videos and Twitch streams can also be useful for learning the basics. Hiring a poker coach to work with you personally can also be a great option. 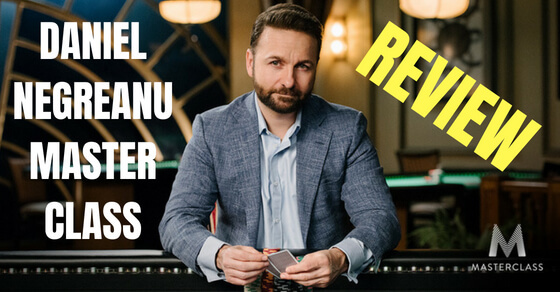 For poker beginners, here are my top 5 tips for your poker success. 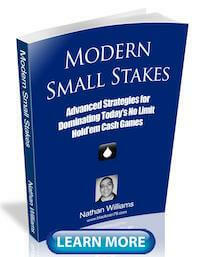 Basically there are countless ways out there to learn a solid strategy and improve your poker game. When you are just starting out it is a good idea to invest a fair bit of time into getting the fundamentals down. This is because you aren't going to build your poker bankroll quickly if you are constantly making basic mistakes at the poker tables. Also, even more importantly, as you move up the limits these weaknesses will get exposed more and more by the better players. If you read this blog on a regular basis, then you will know that I talk about table selection all the time. You have to play in good games (read: bad poker players) on a consistent basis if you want to build your bankroll quickly. The reason why is that your winrate is always going to be directly correlated with the players who you play against. You don't need to be the best player at the table in order to have a big win rate. However, you do need to be considerably better than at least some of your competition. The really bad poker players are who I am talking about specifically here. If you have a big enough sample size, then you can go into your PokerTracker database and see for yourself just how badly the weakest players are losing. Go to the "My Reports" tab and run a filter on players whose VPIP is 40% or higher. You will probably notice that their lossrates start from something like -20bb/100 and depending on how bad they are it could be much higher than this, -50bb/100 or even -100bb/100 and beyond! If you now compare this to the very worst regulars, you will see exactly what I am talking about. Even the very weakest regular opponents who you face will typically only lose at about -5bb/100. 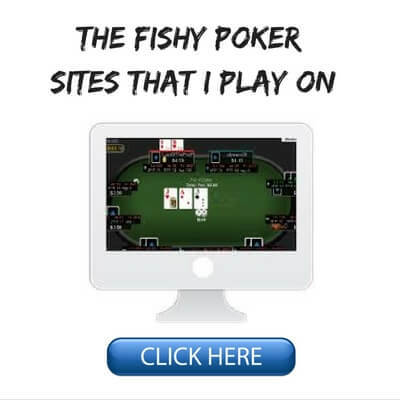 The big fish that I am always talking about finding and playing against on this blog and elsewhere are often losing their money 10 times as fast as this! Who would you rather play against? You have to take table selection seriously especially in today's games if you want to build your bankroll quickly. Make sure you check out my ultimate guide to table selection. So now that you have a good understanding of the fundamentals and you know how to find the worst poker players, what's next? Well, even though I am a big proponent of using a solid bankroll management strategy, I know that it is also the case that the real money in this game is at the higher limits. Nobody gets rich playing at the micros for years and years on end. So if you really want to build your bankroll fast then it will be necessary to take some calculated shots from time to time. One of the ways to do this is to scout the higher limit games for really loose games. If there is a huge fish who is splashing around at a limit higher than I normally play, then I usually won't hesitate to take a shot in that game. The reason why is because like I just said, these guys are like rocket fuel for your win rate. I know that the regulars will be tougher and I won't have much information on them either. However, I am not there to play against them. I am there specifically for the bad players. And this is why it is even more important than ever that you get the best seat against the big fish. You will always make way more money against somebody in poker when you have direct position on them. If I can get the seat directly to the left of the bad player, then this is hugely beneficial. If I can't get position though, then I might not even sit down and play at all. It is that important. The bottom line is that everybody who has climbed the stakes quickly in this game has taken a well calculated shot or two at one time or another. You can see this in the higher stakes games all the time. Anytime the big fish sits down, the waiting list all of the sudden is dozens deep. Sometimes you need to jump in the deep end to find the biggest fish in order to build your poker bankroll fast. One of the most important keys to your success at poker in general is simply having a high degree of confidence in your abilities. The best players make strong deliberate and sometimes bold actions because they are confident in their abilities. This all starts by having a solid understanding of the basics as I discussed above. After all, how can you be confident when you don't know what the right amount to raise is or you have to question if you should play a certain hand etc. I never doubt my abilities at the poker table. This is a big reason why I win! All of this kind of stuff needs to be automatic at the poker tables. It needs to be ingrained in your head. The only way to make this happen is through tons of consistent play and study. In Modern Small Stakes I spend about 400 pages explaining how to outplay the regs by breaking down their stats, finding the weaknesses and exploiting them. I go over basic stuff again and again like how to notice a reg who bets the flop but gives up a lot on the turn. You should be floating this type of player like crazy and taking the pot away on the turn. And how did I learn all this stuff myself? By ridiculous amounts of play. Million and millions and millions of hands. This stuff is all automatic to me now. The bottom line is that the deeper your understanding of poker, and the more that you play this game, your confidence will grow. Also, a solid work ethic both at the tables and away from them also tends to produce good results anyways. This will help you stay confident even when things aren't going your way at the tables. The last way to build your bankroll quickly is to have a good plan for how you are going to do it. One of the most popular emails that I send out with my free newsletter is the plan on how to go from NL2 to NL100 in one calendar year. In this email I talk about the necessity of using good bankroll management strategy (at least 30 buyins for any limit you play). However, I also recommend taking 10 buyin shots at every stage along the way from NL2 to NL100. This means that when you have 30 buyins for the next limit (e.g. $150 and you are moving up to NL5), then you give yourself a full 10 buyin shot to stick at this stake. So in this example it would mean that you play at NL5 unless your bankroll drops to $100. At that point you must move back down to NL2 and grind it back up to $150 before taking another shot. As you can see everything is planned out. We leave nothing to chance. Even with a 10 buyin shot though, due to the impact of short term variance, you should expect to fail several times on your path from NL2 to NL100. This will happen even to the very best players. However, over the course of an entire year, you would only need to successfully make the jump up to the next limit once every 2 months or so in order to reach NL100 by the end. For somebody who plays regularly, this is certainly very attainable. That is, you should have these amounts in your bankroll each time you attempt to move up (30 buyins). Take a 10 buyin shot when you move up. If you lose all 10 (which will happen on occasion due to short term variance), then move back down, grind it back, and take another shot at the higher stake. 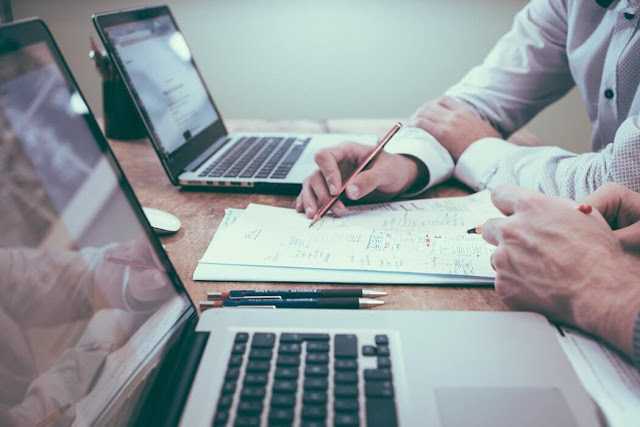 With a solid plan like this in place, and with consistent play and study, you will be able to quickly build your bankroll and climb the stakes. Now I know that some of you are probably asking what you should do if you have no starting bankroll. Or in other words, how do you build a poker bankroll from scratch? Well there are several ways to go about it. Almost every poker site has freerolls these days. This is usually a poker tournament that you can enter for free and the winner will receive $5, $10 or something like that. The problem with these freerolls though is that so many people enter them that your chances of winning one or even cashing for a lower amount is so incredibly small. They also take up hours and hours of your time. Also, even if you do manage to win a poker freeroll the prize is still very small and really isn't enough to give you a proper bankroll for any stake. 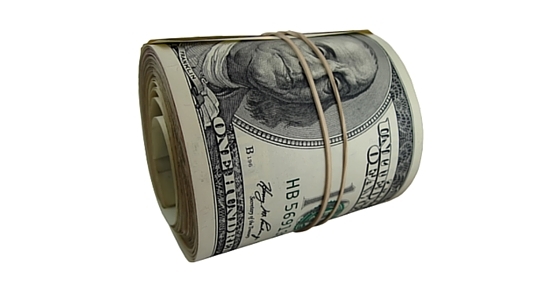 The bottom line is that freerolls just aren't an efficient way to build your poker bankroll. So this is why I suggest taking advantage of deposit bonuses instead. On most poker sites these days they will give you a very generous bonus even for a very small initial deposit of just $10 or $20. The top poker site that I recommend these days for instance, 888 Poker, offers an $88 free deposit bonus for all new players. Now while you often still have to make a deposit in order to take advantage of these bonuses on most sites, it is a far more efficient way of building your poker bankroll than spending endless hours grinding freerolls. Here is my complete list of poker sites that offer large deposit bonuses for new players. Taking advantage of these signup bonuses is the best way to build a poker bankroll from scratch. Building your poker bankroll fast is something that is definitely attainable even in today's games. You need to have a good understanding of the fundamentals, play in good games, know when to take shots, have confidence in your abilities and have a solid overall plan. Quickly moving up the stakes is really a fine line of controlled aggression. If you are a huge bankroll nit sitting on a 100 buyins for each limit, then it is going to take you forever to get out of the micros. You want to take shots at higher games on a regular basis especially when you see a bad player and a seat open to their left. However, you also want to have a solid overall plan for how you are going to climb up the stakes. But none of this will matter if you don't have the fundamentals down. It is very important that early on in your poker career you make sure that you have a solid grasp of the basics including stuff like what hands to play, how much to bet, when to fold and so on. 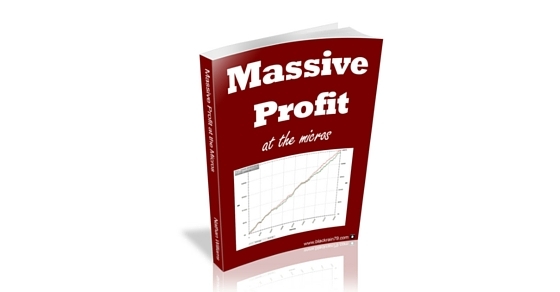 You can find this in books, training videos, Youtube videos, forums and even on this very website that you are reading right now! 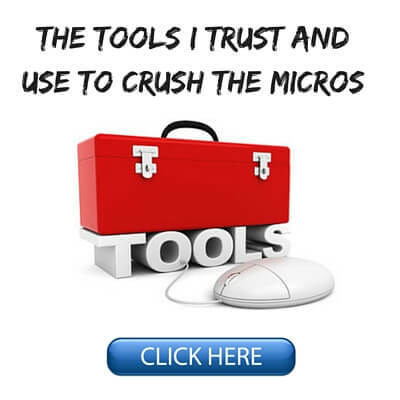 I have written dozens of articles on how to develop a solid tight aggressive strategy for the micros which you can find on my "Start Here" page. Let me know how you plan to build your bankroll quickly in the comments below. Do you have any tips for climbing up the stakes fast? Lastly, if you found this article useful then give it a quick "Like" or "Tweet" below. Thanks! I really like taking double or nothing shots to boost my bankroll. On the days I feel like I am playing my A game and running well, I start at the stake that I normally play then when I get enough money up to the next buy in level I start playing there. I play at nl10 zoom and last night i got up into 100nl. Played until I got up to 175 and then quite my session. Really like doing this cause if I play/run well its a nice boost to the bankroll but then if I bust I really only lose that one buy in from the stakes that I normally play. Plus its a nice way to get my feet wet at the higher levels, great confidence booster. At what point should we consider multi-tabling at any given limit? Specifically, how many BIs should we have and how do we determine the number of tables providing we can handle that number? Hey Paul, you should consider multi-tabling if you think you are ready for it. Basically, you should play the amount of tables that allows you to table select and make reasonably good poker decisions at all times (e.g., not feeling rushed). This number of tables will be different for everyone. Regarding bankroll, this isn't really an issue. This is because if you add tables properly, like I mentioned above, then there should not be any change in the quality of your poker decisions, and therefore your win rate. Adding more tables will simply get you to the long run faster. Therefore, no changes are needed for bankroll. Cool. Thanks! At this point it would mean I'll lose money faster but I'm taking your articles to heart and hope to buy CTM asap. And great article on using PT. That's my mission for tonight. Thank you Taras, glad this article was of help to you! ¿Está Modern Small Stakes en Español? Si no es así, están trabajando para tradcirlo? Lo siento pero Modern Small Stakes está sólo en inglés. No tengo planes de traducir al español. Excellent article! I´d like to suggest something about cashouts. A wannabe professional will have to worry about it eventually. Thanks MS! And thanks for the topic idea as well. Might try and write something about that in the future. I followed you a few years back when you was making videos for drag the bar. Great videos and still are. Are you planning on a day trip (or more) to Macau? I spent a day at the Venetian, and it was pretty cool. I live in China, and have been to a bunch of Chinese cities, and Indonesia. I'd live to visit Singapore and have a look at Thailand myself. It's too bad that you basically never hit a set in your NL2 Mastery videos, but I love the advice. Sorry for the late reply. I have never been to Macau or China but I do plan to go there one day. Ya, I think I hit one set in the entire video series and didn't get much action. The "set" comment should have been posted under the set article. Lol. For this article, my question is that you say a good rule of thimb is 30 buy-ins to take a 10 buy-in shot at the next level. With that in mind, why did you win $13k USD at NL2? That is far more than 30 buy-ins. Scared of moving up? Enjoy playing against awful rec players too much? 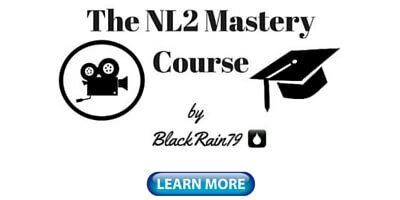 Want to be the world's foremost NL2 expert? All of the above? My wife won't even let me play $.01/.02. She only has two vetos - drugs and gambling. I already don't drink. Sheesh! Oh well. I still really enjoy the learning aspect. Regarding the bankroll and not moving up. My results span over years so I actually did move up and down many times. However, I also used to just mass table the lowest stakes on auto pilot just for the free money. There were definitely periods where I was just happy with that. How much do you grind in any given month/year and with what sort of bankrole? I'd be keen to know what is actually possible in the long run. Hey Q, with volume it is different every month and year. I am always overrolled for any game that I play in.